Wow! It is 2015! Can you believe that? 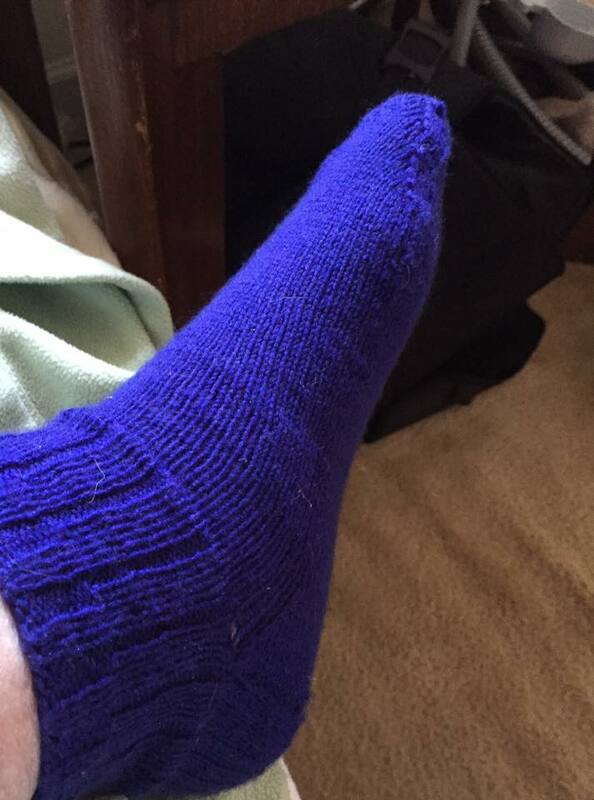 I made this sock with a short leg, sort of like a footie, because my ankles/calves are quite large and I am not at all sure how many stitches to cast on to accommodate such a large calf/ankle circumference. 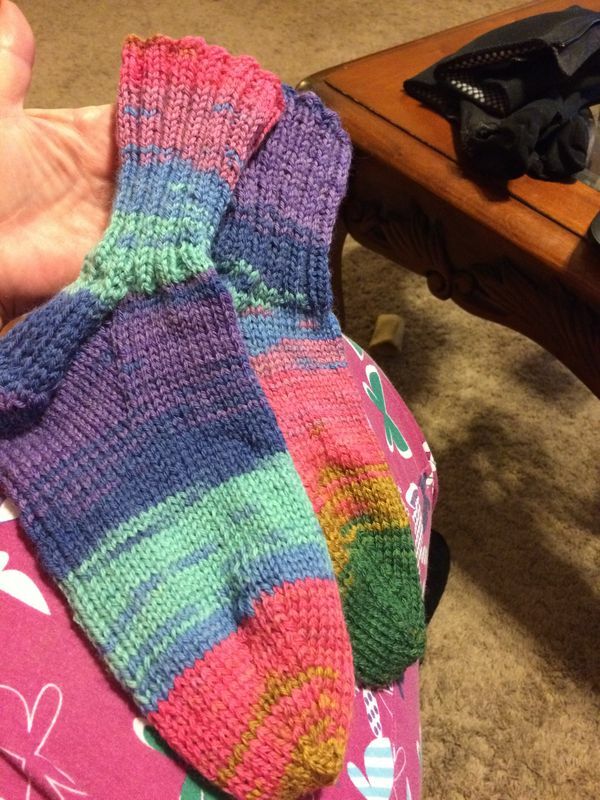 I just don’t know enough yet about sock knitting. So, until I do, I will make my socks like this. The sock fit my foot, and that was what I was going for. 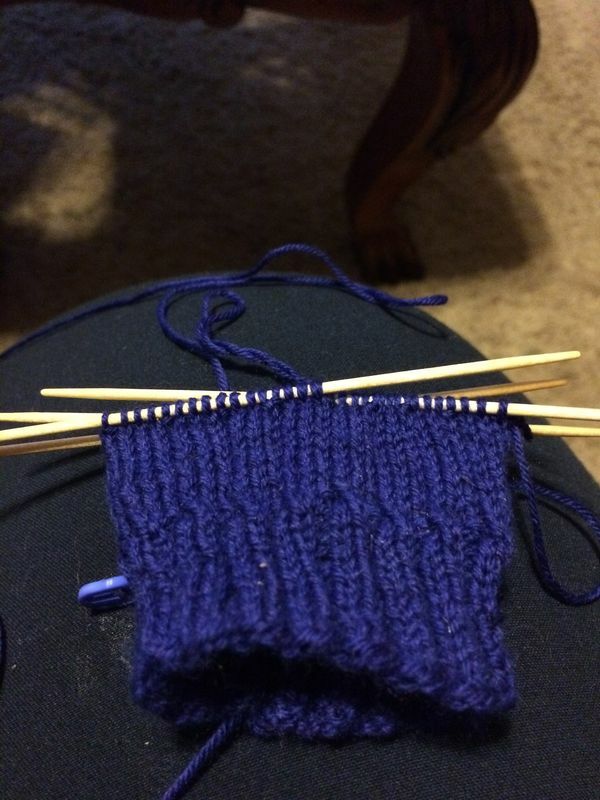 For those who don’t know, I am a self-taught knitter, and I tend to take on projects that other knitters say are too complicated for a newbie knitter. I don’t believe them, and I do them anyway. Of course, I do a LOT of tinking and frogging and I use lifelines religiously, but I get the projects done no matter how long it takes me to do them. I think I am finally wanting to finish it. Don’t you think it is about time? I am using Berroco Vintage this time, which is a wool, acrylic, and nylon blend. Still hand washable, lay flat to dry recommendations, but the colorway is gorgeous. I just hope that this one fits her. If it doesn’t, I won’t make it again. I may never make another sweater if this one doesn’t fit her. I did get gauge with this one though, so I think I have a better chance of it fitting her. 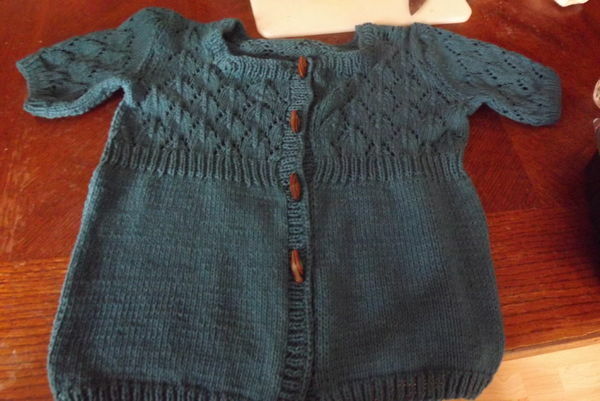 She wanted it made longer, so I added length to the bottom of the sweater, and I also added extra ribbing at the waist, arms, and bottom to increase the length even that much more. I just hope she loves it. 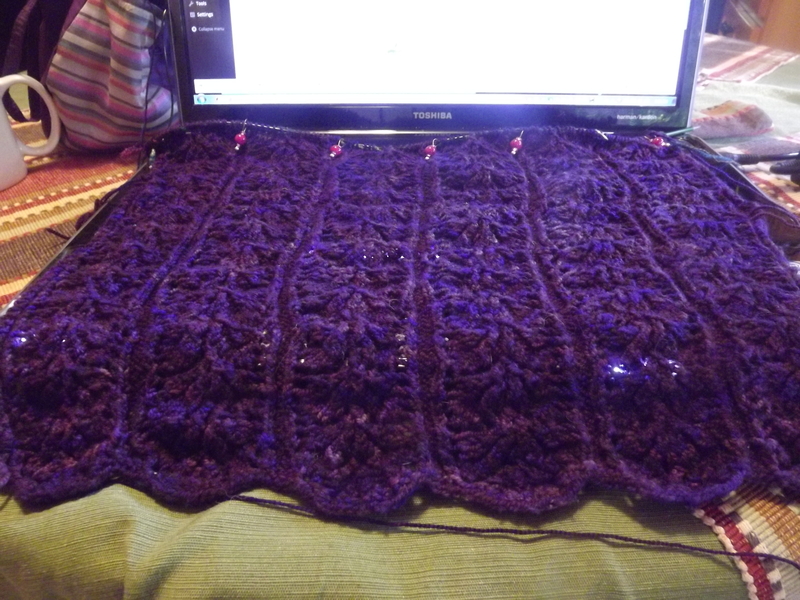 The other project that I have to finish is my MIL’s shawl. I got so close to finishing it only to find out that I messed it up about 25 repeats down! Somehow, I managed to knit a row that should have been a purl row, and that turned the whole thing around, making the front the back, and vice versa. I couldn’t say it was a design element. It just looked so bad! So, off to my LYS I went. I had to get Emma to fix it by taking it all out down to about 5 rows beneath the row where I switched it up and put it back on the needles, help me figure out where I was in the pattern and start all over again. Thank God for my LYS! I just watched in amazement as she took the work out without missing a beat, put it back on the needles perfectly, and she showed me where to start again when I got home! I did a few rows when I got home with it, but then I realized that I just wasn’t enjoying having to re-do all of that knitting and I needed to put it away for a while. That was back in November 2014. I have just picked it up again last night to start again with row 1 and try to get this one finished this year. Maybe I should amend my 2015 goals to say that I will get those 2 projects off of my needles and to their intended recipients this year.